Les Vosges. 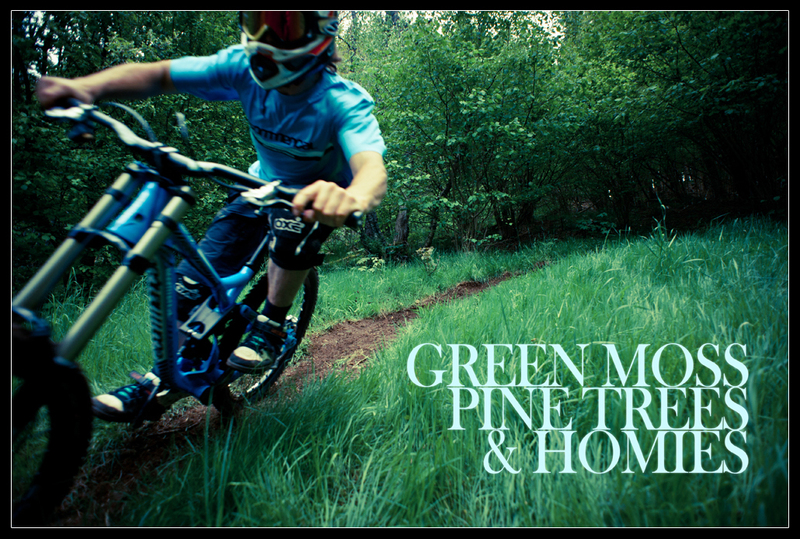 That is pleasant to meet those good ol’ mountains for a little mtb photoshoot between moss and pine-trees. Why shall we look too far away when the bike season is just started? Few kilometers from home, my homies Eliott Lapotre, Mickael Haxaire, Regis Ricard and Damien Guiot are full on! I just have to drive through Schlucht Pass to reach the dark side. My last time at Le Valtin, we were shooting a report in Eliott’s garden. Rather to be veggies in a kitchen garden, Lapotre family watch dirt jumps grow in their yard… Youth might love playing in dirt. At that time, mechanic shovel already did the job to make those grown-up kids a better playground. Though, today ride brings us to a few hills further, along a downhill track Régis and Damien dug. Within the spring smell undergrowth, birds songs were melting with our happy troupe laughters. Another hard day on duty. 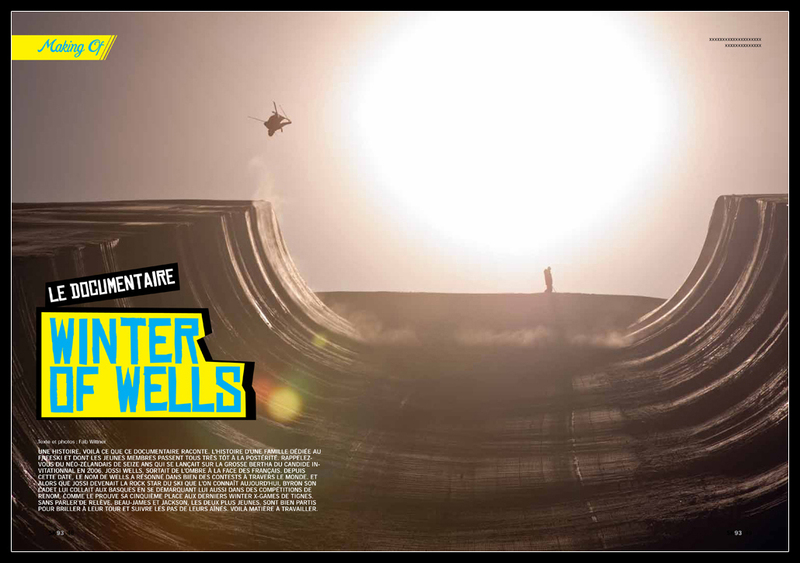 The collaboration with Tim Pierce and the Wells brothers during last winter was pretty much successful. The documentary made of the Winter of Wells saga – which is telling the adventures of Jossi, Byron & Bros – was released last autumn. Likely, few magazines were keen to get photos of the making of. The opportunity for me to share a bunch of photos made during this winter I spent down under, in the mountains of New Zealand. A lot of good memories that I’m hurry to refresh in few months. Until I return to Middle Earth, let’s cross the pages of Skieur Mag, Skiing and 4Skiers again. After four years getting the first place, my brother-in-arms ended second during the fifth opus of Urban Plagne. 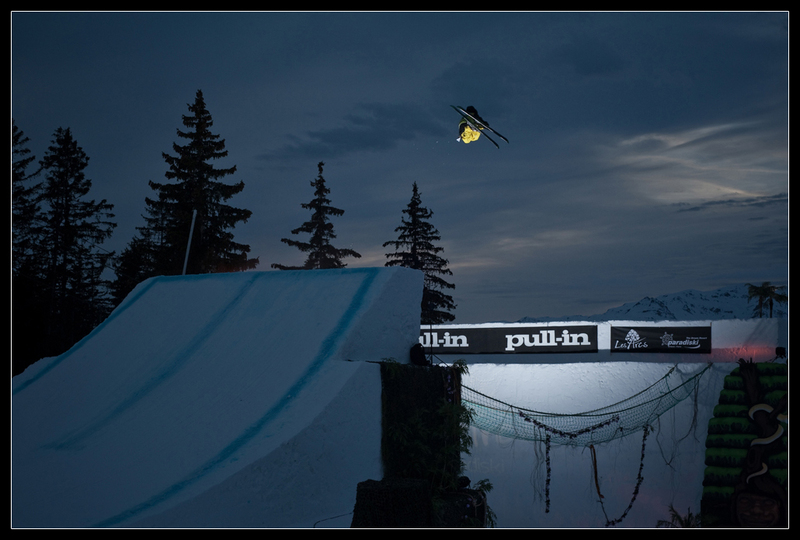 This year, the video contest based on street skiing and snowboarding took a cinematic turn, bringing more importance to the scenario in the competition. We are not going to start talking about judging or how legitimate the ranking is, neither start moaning and groaning about it. There’s no point. The facts are : twelve spots rode in four days, street riding “Gpsy Feelin way” and a philosophic and poetic movie about chance. 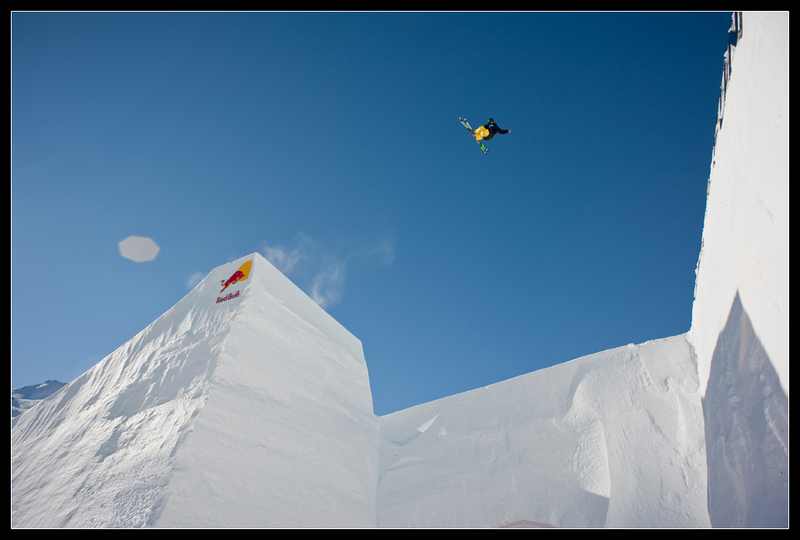 The 30th and 31st of March came the long-awaited event for all the freeski rockers. For the fifth time, Les Ménuires hosted the Full Metal Contest, the meeting of dressed up trashers orchestrated by Fabien Maierhofer and the Darker Team. To stay on the traditional set up, the event had a derby, a freestyle contest (with dirt jumps, big air, rail and a devastating loop) and also live shows and a lot of beers. During Friday, we noticed that the most ridden feature was definitely the beer stall. Everybody was intrigued by the looping until Flo Cuviller gave it a single try and missed it. After a pretty full day, the crowd moved to the concert hall to keep on drinking at the second beer stall. On the other side of the hall, Vera Cruz, Crucified Barbara, Kuelerton and Dog Eat Dog were playing hard. A great mix of great music that night. Saturday quietly started – around the beer stall – before the riders hit the competition on the big air, the rails and dirt jumps from hell. A day filled by many laughs and as much sunburns. We saw three more tries in the loop, which ended with a knock out. Rock’n’roll babe! One again, thanks a lot for inviting the Gpsy family and see you next year! 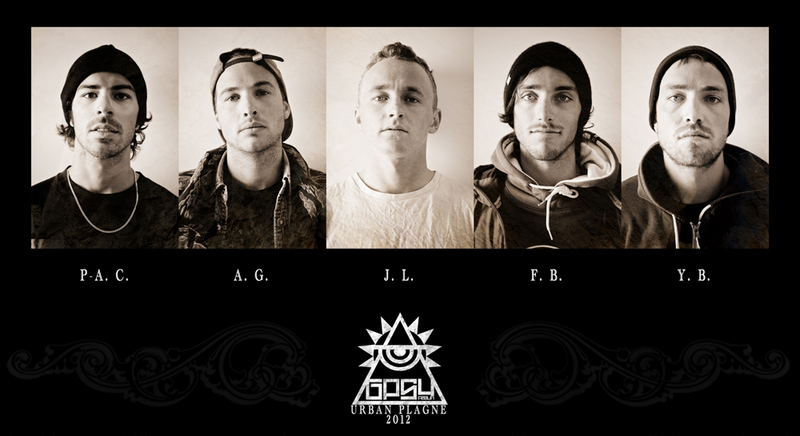 This winter was the last opus of a saga that last for five years in Les Arcs. The L.A. Session offered its last show in Les Arcs 1800 in front of a delighted crowd watching young stuntmen riding the usual perfect jump. Screaming louder after each back flip. Long story short, some great riders at the start gate and a nice group of friends were there to celebrate the final act. But do not doubt that Romain Grojean didn’t let the L.A. Session down without a little surprise in his mind for next season. I had to wait 17th of february to finally go out to shoot my first freeski competition. The Frostgun Invitational gathered the finest of the freestyle scene on the biggest european jump built especially for the occasion. Misfortune hit us during those few days in Val Thorens. The first sessions were actually crash test parties, the jump went from 31 meters to 25, forcast gets wild and the schedule went tight that we only had the last day to enjoy the spot. But the most important, this day was finally a pretty good one. The comp went like a Dragon Ball tournament, riders were fighting two by two. Kai Mahler (1) and Rico Schuler (2), two little 16 years old swiss fellows fought for the 20.000€. Russ Henshaw (3) and Henrik Harlaut (4), the two freestyle technicians now out of teenage hood were right behind them fighting hard as well. A great day tough, with good friends, loud laughs and heavy tricks! 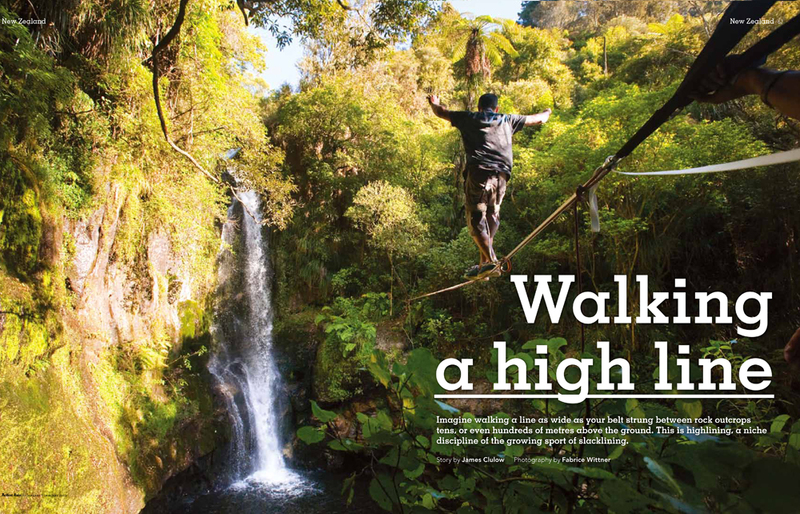 The Hong Kong outdoor mag found itself very keen to feature our little slackline trip story. Result, a new article about it! First publishing and maybe not last.